Our family had already started transitioning towards eating more natural and organic foods before I started taking Skinny Pills. Getting healthier, teaching my children to choose better quality foods and to grow our own foods was already my goal prior to making up my mind to LOSE WEIGHT. 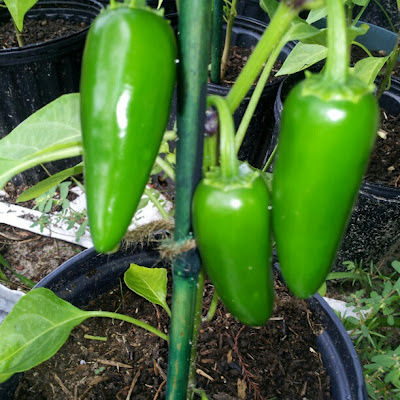 In fact, my husband and I started an organic garden April 2012.We did not know that summer in Florida is not the best time to grow a variety of vegetable and spices. Summer is similar to trying to grow a garden in the winter up in the north. Plus, it is virtually impossible to control the leaf miners and locusts during the scalding hot months. Want tho skip to the cliff notes of how to get skinny and healthier? Visit the 90 Day Weight Loss Challenge page for information on how to get started. Regardless, we tried a few varieties of vegetables and spices. We now have 1/3 of our Oct to March crop started and doing well. We have 39 pepper plants (green peppers, jalapenos, habaneros, cayenne), around 40 tomato plants (rutgers, beefsteaks and cherry tomatoes), garlic, basil (2 types), eggplant, dill weed, onions and have already had a few radish harvested and one carrot :) This is very exciting because we have had a ton of cherry tomatoes, jalapenos and cayenne all summer. All of the other tomatoes and peppers are producing now, too. I have NOT made a bunch of changes in food while doing my 90 day weight loss challenge. Just gardening and eating natural / organic foods (meats, starches and baked goods included), as well as cutting down on bread and sugar intake. Despite all of this gardening work and eating organic food, I was still not losing weight and eating a lot of the wrong foods coming into this 90 Day Challenge. I did slow down on how much bread and sugar I eat on a daily basis, though these first 23 days of my weight loss challenge have been about remembering to take two Skinny Fiber pills 2 to 3 times a day (depending on how hungry my body feels) and trying my best to drink, at least, 8 glasses of water a day. I know that does not seem like much, but I am not great at taking pills or drinking as much water as my body needs. That's has been it! I take two Skinny Pills 2 to 3 times a day, and drink a lot of water. I have lost 2 more pounds for a total of 14 pounds because I did lose 12 pounds in my first few weeks. My family has mentioned that my stomach is not a big, so I measured and my waste is 2 inches smaller today. I am excited about inches gone, but I thought that I had lost more weight than that!!! Now that I am learning how the Skinny Fiber pills are working for my body, I am setting some goals for the 2nd month in my weight loss challenge. I actually started them today and created a REALLY delicious and filling Avocado & Kelp Noodle meal with I will share with you in another blog post. Interested in losing weight and becoming healthier? Visit the 90 Day Weight Loss Challenge page to learn how to get Skinny with me. You can start at any time and do the 90 Day Challenge as many times as you need. We do not have to be on the same days of the challenge to do it together! Here's to YOUR weight loss success!